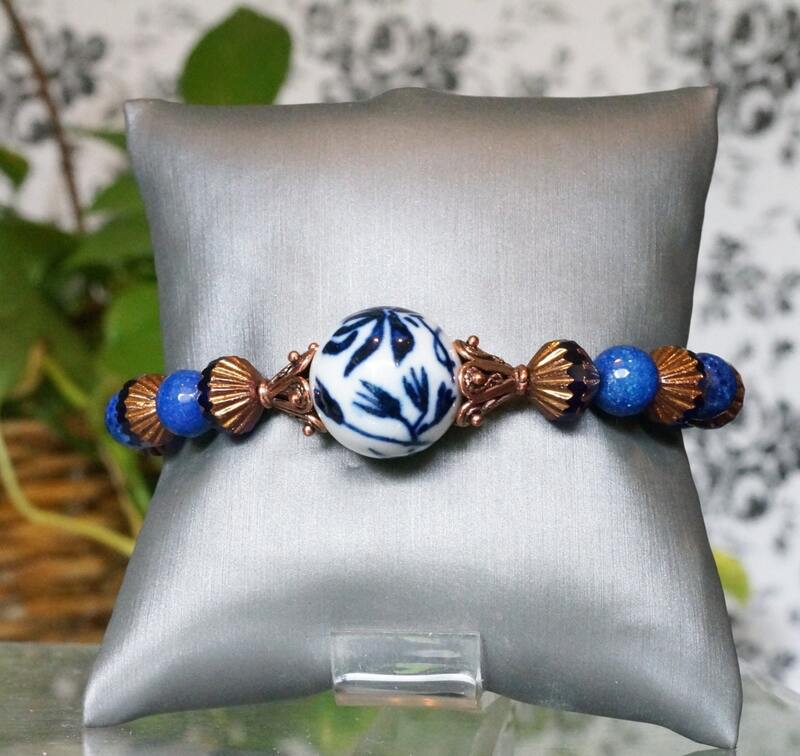 Here you have a statement bracelet made with a focal Chinese porcelain bead in blue and white. 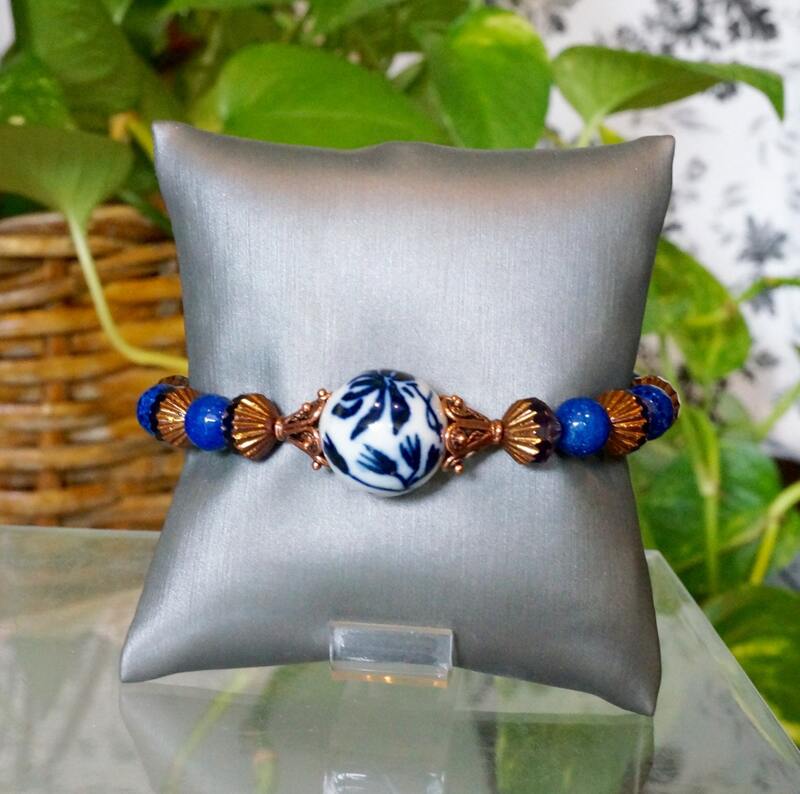 It's surrounded by faceted lapis lazuli rounds, and copper and blue glass Czech rondelles. It has some copper components. It all comes together with a copper toggle in the shape of a leaf. It fits a 7 inch wrist very nicely. It can be shortened. Just let me know ahead of time, and let me know your wrist size.